The Little Partners Learning Tower is an awesome invention made for the child’s “CAN DO” attitude and drive. I know once my kids hit the 14mo-18mo age range they start mimicking mommy and daddy, wanting to help and do things all by themselves. Josie being 13 months right now she is totally into doing everything she sees me do. Recently she has been trying to unload the dishwasher and pick up the clothes off the bathroom floor and put them into the dirty clothes hamper. I remember Finley and Ezra both showing interest in these things. But them now both being older they want to help with everything from baking to spreading their own butter on toast to washing their hands and dishes. The Learning Tower helps them do this efficiently and safely. The Learning Tower has an adjustable height platform, giving quality, safety and flexibility. Recently we started a new healthy trend in our home. Juicing! I love being able to give my kids fresh squeezed juice that offers them tons of vitamins and flavor, and I can even add fresh veggies in there as well without the fuss I get at dinner time. Finley and Ezra have been very enthusiastic about trying new recipes and even adding veggies. This is something that they love to help me with, I chop up the fruit and set it front of them and they go to town. All thanks to the Learning Tower they can help me do this safely. Before they were trying to climb up on the counter where my sharp knife was and also knocking over the cup that the juice runs into. It was a mess and very unsafe. Here are two of our favorite juicing recipes. One includes a small beet, which Finley was not a huge fan of, but Ezra loved it. So I thought I would share it anyway incase you have some adventurous eaters out there. Just woke up and Ready to juice it up! Each Recipe yields 2 cups (16oz) of juice, which is enough for myself and 3 kids. Any combination will work and it’s fun to try new things. I added a lemon to our juice this morning and I wasn’t a huge fan. But Josie loved it. It really depends on your tastes. I wouldn’t recommend adding anything that you normally dislike that is strong in flavor. Greens like spinach, kale (can we a little bitter) and celery are mild in flavor and seem to work well without the kids freaking out about tons of veggies being added. I also like to tell them what vegetable or fruit is good for what. For example, Carrots are really good for eye sight and your skin. They seem to love these tidbits of info and while drinking their juice will say “My eye sight is sooo good right now!” Haha, too funny. We love our new learning tower and how safe it has made our daily activities. Little Partners also offers lots of accessories to go with the Learning Tower, so we sure to check those out as well. *We were given a Learning Tower for review, all comments and opinions are my own. We love Citrus Lane, they are such an awesome company giving moms a wonderful box filled with goodies to specifically fit the age of their child. I love trying new products but sometimes I kick myself for spending a bunch of money on something that doesn’t work for us or something we end up only using once. This is where Citrus lane comes in. They introduce products and companies in a monthly box with either full-sized or deluxe size samples of all different types of products for your baby or child. We received an awesome bib, yogurt melts (Josie loves these) A piggy sponge for the bath, an adorable book, and a nice bottle of moisturizing lotion. Get a box of goodies for as low as $21 a month with free shipping. Citrus lane offers a range of subscriptions as well. Over on the left hand side of the blog there is a little Citrus Lane button, click there to get $10 off your first box! Enjoy. By now I’m sure Y’all know my love and weakness for monthly box subscriptions. And if you don’t, well I LOVE THEM! I think they are genius and I secretly wish I would have come up with this idea myself. 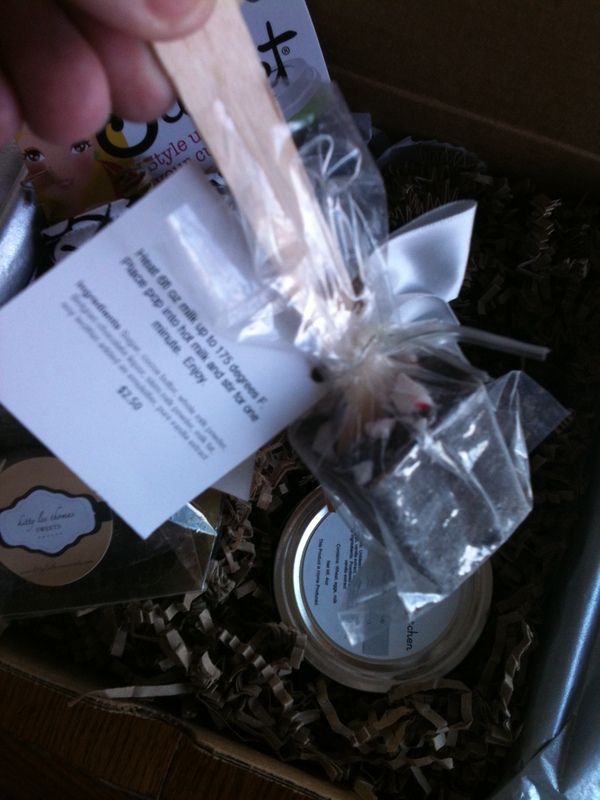 There is pretty much a monthly box subscription out there now for everything and everyone. I got the opportunity to try a new one last month called La Bella Box. 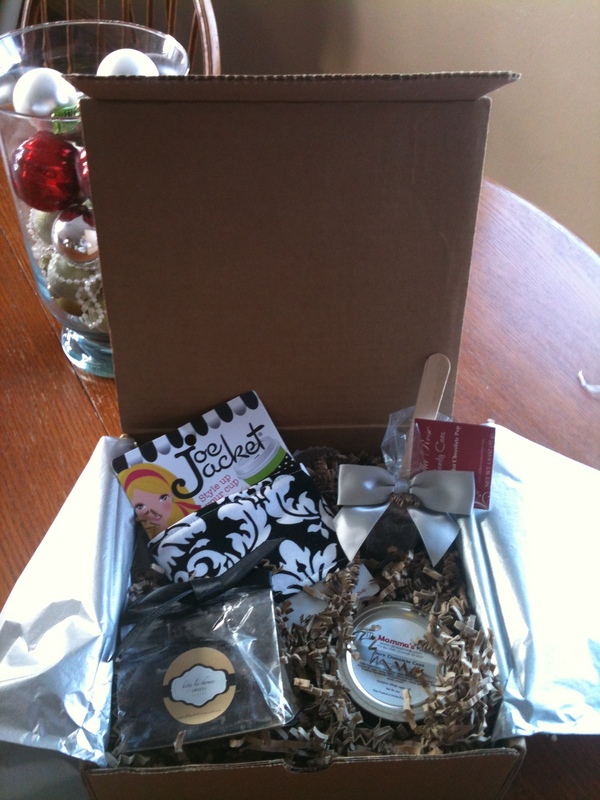 La Bella Box is an awesome way to try samples of boutique products from entrepreneurs all over the United States. The ladies behind La Bella Box love discovering and supporting small businesses so they started this service to connect small business entrepreneurs with a much larger audience, us! I’m very excited to show you what came in box, and it really couldn’t have been more perfect for me. It was full of chocolate goodies, another one of my weaknesses. All for $19.00 a month you can get your very own La Bella Box delivered to your front door. La Bella Box also offers subscription plans as well. This caramel sauce is not only super super yummy, but also super easy to make. Like seriously maybe 5 minutes? If that? I like to double the batch sometimes and keep it in my fridge for when I’m in the mood for a sweet treat, it’s perfect drizzled on ice cream, brownies, cupcakes, cheesecake and sweet breads. Melt butter on stove add brown sugar, once sugar is dissolved add cream and vanilla. Bring to a boil. 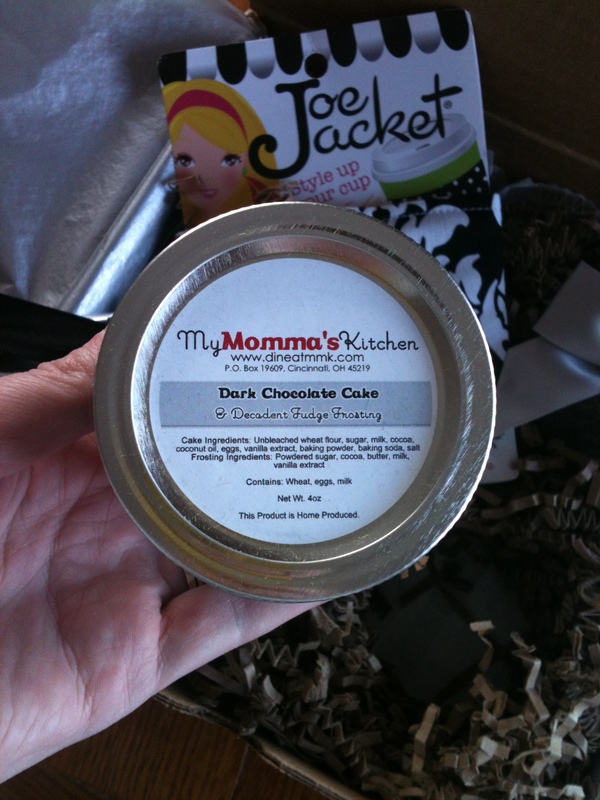 Pour in glass container, let cool, cover and then stick in the fridge. It will appear runny at first, not to worry it thickens as it cools. This will keep in the fridge for about 2-3 weeks. Although I doubt it will actually stay there for that long, haha! Whoa I really don’t think I realized when I had two December babies how CRAZY the Holidays were actually going to be. Not that we really could have helped or forseen this. But Holy cow, Christmas then 2 days later Finley turned 5. (Yep, 5! how the heck???) and then we had both of the girls Birthday party 2 days after that and then yep Josie Turned 1 (Again…what the heck???) 2 days later. Also did I add that we closed on our house WAY WAY WAY later than expected 3 days before Christmas? Yep, we had one heck of a Holidays, filled with stress, laughter, love and fun. Lots of stress, but so so much fun. The kids had a blast on Christmas of course. Getting everything their little hearts desired. Well not everything, I found out like 3 days before Christmas they were both expecting their very own Ipad, um…no and no! Sorry 3 and 5? Ipad? Don’t think so kiddos. (Yes there was an epic fit) Not really why, who or sure how they got this little idea into their heads? Anyhoo, they made out with a guitar, skateboard and rocket ship, among a few other little things. We don’t go totally overboard for Christmas since the Birthdays are so near by. And let me tell, Birthday and Christmas and presents and sugar and all that fun stuff makes for over stimulated, grump, sassy little children. Love them to death and loved all those little smiles but I just have to say, boy am I happy that all of that is over!!! And knowing that this will probably only get more stressful with each passing year makes this mama a bit nervous. Cheers to 2013 and all it has to bring, adios 2012! Please e-mail me @ jhil2626@yahoo.com to claim your prize! Thanks everyone for participating. It snows a lot here in the winter and early spring, which means lots of mud when it starts to warm up a bit from time to time. Kidorable boots are a life saver for this type of weather. We absolutely love our boots. The kids love the fun and super cute designs they offer and they also love that they are so easy to get on and off all by themselves. Which is big in our family, because when you have 3 kids to get bundled up and out the door, the easier the better! Kidorable sent us two adorable boots for the kiddos. Finley received the new ballerina pair and Ezra got the new Space pair. They have been doubling up their socks and wearing these out in the snow and they have been wonderful at keeping their feet dry and warm. In its first three years, Kidorable grew from a hopeful startup to a thriving business with $2 million in sales. Ever since, Kidorable has continued to blossom, evolving into a flourishing global enterprise, contributing to the success of dozens of sales professionals and thousands of retailers, with sales projected to exceed $15 million by 2015. Throughout its first decade, the key to Kidorable’s success has been growth. But not growth simply in the financial sense. For the ultimate Kidorable customers – kids – it’s all about growing imaginations. For Kidorable’s employees, it’s all about nurturing personal and professional growth. And for everyone touched by Kidorable, it’s about growing smiles. For Kidorable, growing larger is a natural and happy consequence of growing better, individual by individual. Today Kidorable is a striking presence, not just in stores, but across the vast landscape of the children’s apparel and accessories industry. By encouraging personal and professional growth in the service of imagination and smiles, Kidorable’s own growth projections continue to soar. Kidorable also offers adorable matching umbrellas, rain coats, backpacks and towels. One of my lucky readers is going to win a Kidorable Umbrella of their choice. Head on over to Kidorable and tell me which one you would choose if you won. Also please like them on FB. Thats all leave TWO separate comments for each entry. (1. umbrella choice 2. fb like) Giveaway ends 1/9 winner will be announced 1/10. Good luck everyone! Disclosure: Kidorable sent these products for us to review, ALL opinions and comments on these products are my own, I was not paid to write this review.